"It's a question of how serious you are about seeing justice done." Focus Features has debuted the first teaser trailer for Tom Ford's new film Nocturnal Animals, which has been earning rave reviews at the Venice and Toronto Film Festivals. Amy Adams stars, along with Jake Gyllenhaal, in this twisted thriller about an art gallery owner haunted by her ex-husband's novel, a violent thriller she interprets as a veiled threat and a symbolic revenge tale. The cast includes Michael Shannon, Aaron Taylor-Johnson, Isla Fisher, Ellie Bamber, Armie Hammer, Laura Linney, Andrea Riseborough and Michael Sheen. Described in some reviews as "David Lynch meets Alfred Hitchcock meets Douglas Sirk," this has a bit of a western meets dark thriller vibe to it. This teaser should definitely get your attention and make you curious. A "story inside a story," in which the first part follows a woman named Susan (Amy Adams) who receives a book manuscript from her ex-husband, a man whom she left 20 years earlier, asking for her opinion. The second element follows the actual manuscript, called "Nocturnal Animals," which revolves around a man whose family vacation turns violent and deadly. It also continues to follow the story of Susan, who finds herself recalling her first marriage and confronting some dark truths about herself. 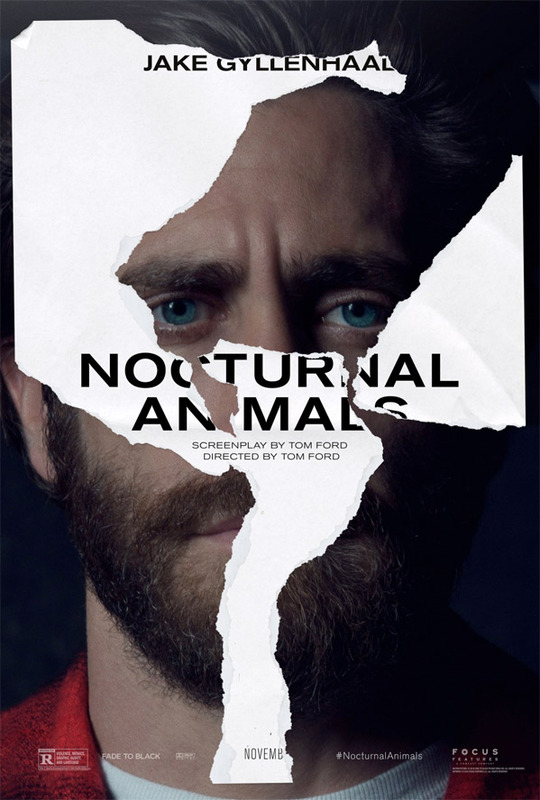 Nocturnal Animals is both written and directed by fashion designer/filmmaker Tom Ford, of the film A Single Man previously. Based on the novel "Tony and Susan" by Austin Wright. This just premiered at the Venice and Toronto Film Festivals. Nocturnal Animals opens in limited US theaters starting November 18th this fall. I love Tom Ford's eye. He is a talented director of note. Jake Gyllenhaal and Michael Shannon are solid actors. Cinematography is great. But I don't feel compelled to watch it, because this trailer did nothing to me. I can't figure out what's all this fuss is about. Looks like Mystic river turned upside down. Woww the twins are in this move... Amy Adams and Isla Fisher. Now we just need Pam from the office series. Aaron Taylor-Johnson is the new Nicholas Cage. And the old Jai Courtney. The 3 leading actors are very good and my recent favorites so i will definitely watch it. Pumped! // I think Tom Ford likes redheads in his films.